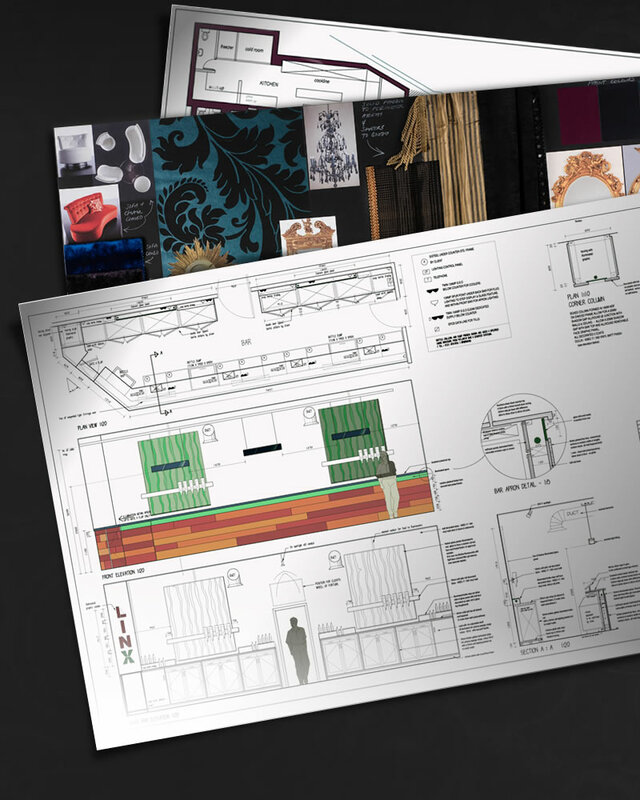 Every client has individual needs and Unknown Design therefore tailors creative thinking and services to suit, looking to produce design solutions that exceed and transform client’s expectations by orientating and filtering the brief whether it be simply creating an initial theme or designing a full scheme from concept to completion on-site. We always seek to maximise the functional potential of every project offering inspired and effective results. Our artistic abilities include designing and visualising complete interiors incorporating new and/or existing architecture, as well as designing bespoke lighting and furniture, styling and art direction and graphic design. Unknown Design are proud to be among the rare few designers that truly understand the operational matters apparent within the licensed environments of pubs, nightclubs, lounge bars, restaurants, golf clubs, student unions and hotels and can offer straightforward and genuine advice in these areas. We work within numerous teams to bring each project to completion and build successful partnerships between clients, professional consultants and contractors to ensure that the highest quality is adhered to on each contract. Unknown Design exists to create individual design excellence for our clients in any built environment and always delivers a totally committed, professional and passionate approach to all projects no matter how big or small the idea.